Ocean Ridge Plantation offers exciting amenities to support a physically fit and socially active lifestyle. 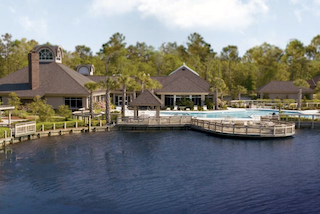 Set in Ocean Isle Beach, North Carolina, Ocean Ridge Plantation is an open-age community which has all the resort-style amenities needed to support an active adult lifestyle. Highlights include multiple clubhouses, indoor and outdoor swimming pools, and five challenging 18-hole golf courses. The community is still being developed as well, with plans for a kayak and canoe center, a tennis and racquetball center, and approximately 3,000 single-family homes. Opened in 1990, Ocean Ridge Plantation features a variety of single-family homes spread across more than a dozen neighborhoods. These homes have been constructed by multiple builders in sizes ranging from approximately 1,600 to 2,800 square feet. Homesites often feature lovely water or golf course views, and homes can be customized to meet the needs of different homebuyers. Today's homebuyers can choose from available resale and new construction homes. Amenities in Ocean Ridge Plantation begin with The Plantation Club. This spacious facility is set beside a four-acre fishing lake, giving it spectacular views and an ideal setting for barbecues in the outdoor grilling area. The Plantation Club features indoor and outdoor swimming pools, a state-of-the-art fitness center, a sauna, lounge and two lighted tennis courts. Ocean Ridge Plantation is home to the nationally recognized Big Cats golf courses. Over 50 clubs and organizations keep active adults busy and make it easy to make new friends. The diverse social calendar offers an exciting line-up of recreations as well. Residents can meet for regular card games or enjoy planned events like community dinners, bowling trips and volunteer opportunities. Resident golfers will love having access to the community's famous Big Cats golf courses: Tiger's Eye, Panther's Run, Lion's Paw, Leopard's Chase and Jaguar's Lair. 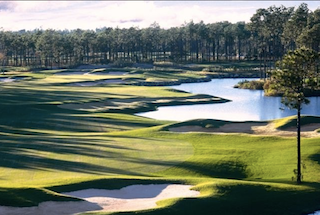 Each of these 18-hole golf courses offer challenging play and spectacular, natural landscaping. Additional amenities are available at the 20,000 square-foot Tiger's Eye Grand Clubhouse, such as a pro shop, meeting rooms and the Tiger's Eye Grille. Another clubhouse, shared by the Lion's Paw and Panther's Run courses, features Tamer's Restaurant and Lounge, and its own pro shop. The amenities also continue beyond Ocean Ridge Plantation. Just three miles outside of the community gates, on Sunset Beach, residents also have exclusive access to the Ocean Ridge Beach Club. This comfortable facility includes an oceanfront clubhouse with locker rooms, showers, a catering kitchen and oceanfront decks. It also offers a private stretch of beach that can only be enjoyed by residents and their guests. With its impressive amenities, beautiful homes and prime coastal location, it's easy to see why Ocean Ridge Plantation is an attractive destination for active adult retirees.